Just thought we should have space for this as trade season will begin to heat up. I feel like the last couple of trades, for Ariza and George Hill, set the market somewhat. Is it time for the MBT to pivot to trading for assets? Do we wait and see how this road trip unfolds? Would Washington have interest in DeAndre? Certainly more than a few teams would be happy to have Wes playing 20-25 a night off the bench. Shoot, the pelicans could use him as a starter! Is any team willing to give up a protected 1st for Barnes? Can we take advantage of the usual suspects (NO, Detroit, Washington) who always seem eager to dump picks for short term upgrades? Personally, I'm ready for all 3 of the aforementioned to be gone. Powell too in the right deal. I know there is virtue in continuity for our youngsters and having hope for the playoffs, etc. But it's time to think ahead to better things than treading water with almost over the hill vets and mediocrities. Start stockpiling assets for a run at trading for the next superstar that comes available and fits our timeline while keeping 30-40m available for this summer FA. Last edited by mac222b; 12-17-2018 at 04:20 PM. Complain all you want about HB but he usually a reliable starter who led the team in ppg last season. If you trade him, you lose a large chunk of offense. Doncic is progressing amazingly but putting the entire offense on his shoulders is a bit much. Wes is someone we can afford to trade since DFS has really stepped up this year. We won't be getting anything for him though with him being in his last year of contract and a high salary. 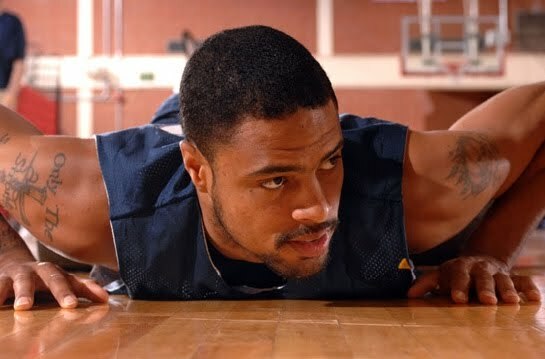 Rumors have already said that MBT has tried to him but has not gotten any takers, so it's highly unlikely for him to go even with teams that are looking for salary relief. DJ is a great fit for this team and is #2 in RPG for the league. Yeah, his defense could be better but so could a lot of things on this young team. DP is coming back down to earth in his stats but he's a little over priced for his next year $10.2 million salary. Next year's salary commitment is HB (25), DP (10.2), Luke (7.6), DSJ (4.4), DFS (1.9), Maxi (1.8) and Brunson (1.4). We need quality vets and good coaching/mentoring for Luka and DSJ ... which is exactly what we have. Hopefully pick up a really nice fit with our salary cap next year along with players we keep, then we'll be sitting nicely. For the first time in a really, really .... really ... long time, I hope no trades are done except for no-brainers and we stick with who we have. Complain all you want about HB but he usually a reliable starter who led the team in ppg last season. HB is a perfectly good player. He has completely EXCEEDED expectations. I really don't get the complaints about him. Fan base always likes to assume you can get something of value for trading your trash. GM's are (mostly) not that dumb. Wes's value IS his contract (expiring), plus locker room presence. So, what we'd get back is a similar contract that isn't expiring...or another contract somebody also wants to dump. Yep...Mavs FINALLY landed their big free agent. Trade him so soon? And...for what? Who would then play center? Next year's salary commitment is HB (25), DP (10.2), Luke (7.6), DSJ (4.4), DFS (1.9), Maxi (1.8) and Brunson (1.4). Yes, Mavs have plenty of cap room, even without unloading Wes. We need quality vets and good coaching/mentoring for Luka and DSJ ... which is exactly what we have. Hopefully pick up a really nice fit with our salary cap next year along with players we keep, then we'll be sitting nicely. Qaulity vets is soemthing the MBT has always been good at acquiring. Are we at that stage? Certainly one or two (Pat Beverly? )...but should that be the focus, or should it be on acquiring more young talent. Were DSJ going to be here I would agree its vets. If not...I think maybe we need to enhance the young core. I don't think sticking with what we have is an option. Lots of talk about moving WM, and DSJ. That's 40% of our starting lineup. DSJ talk is due to him not being a good fit, so that makes moving him a priority--although there isn't thought that he's a bust, just not the best fit here...indicating if we don't get good offers, we would probably be best keeping him. DSJ's numbers have actually improved this year, in terms of shooting percentages, etc. It's just the advanced analytics that show his fit on the team isn't ideal. 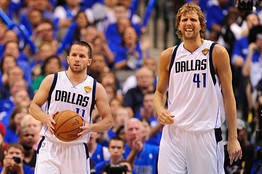 We also need to think about Barea's injury :-( , and what that means both for this year, and going forward. That might impact thinking on DSJ as well. Well, in short, it will be tough to upgrade given we don't have next year's first and no one of real value we would send. Matthews is once again our most likely to be traded. More so now that he is expiring and actually would help a team who could either offset the salary or absorb it, with picks to the Mavs, of course, or a young player more in line with their rebuild. Barnes and Jordan would obviously help other teams out, but they will stay to help develop the younger players unless the FO is blown away. Other than that, I'd say we won't see much. I think our other vets are certainly tradeable, but the value the Mavs would get back in a trade probably doesn't outweigh what they think Barea, Harris, etc. can teach Luka, DSJ, and Brunson. the value the Mavs would get back in a trade probably doesn't outweigh what they think Barea, Harris, etc. can teach Luka, DSJ, and Brunson. This is very important for those three. They are more than likely our super long term players so veterans that knows what it takes to stay in the league set them on the right path to longevity. Plus, L/D/B already show the IQ to learn from vets. Smart thing to do would be to wait until the TDL to see where we are and who might be available. We are currently a PO caliber team and unless something major happens like a season ending injury to a key player or we go on a huge losing streak, there is no reason to make any moves just to make moves. Now if someone like KAT or Porzingis become seriously available then we might want to try to put something together. I am out on KAT and would be intrigued with Prozingis. No idea what it would take or if we could even offer it. Last edited by saclare; 12-18-2018 at 03:27 PM.
.@TheSteinLine mentions expectation among execs around league that Dennis Smith Jr. will eventually be moved. Mavs tell Steiny that they aren't shopping Smith, but that's semantics. Execs from other teams tell me that Mavs are at least gauging market for their 2017 lotto pick. I respect Stein, but saying "that's semantics" is a pretty big reach there and is more than a little vague. I find that many writers are desperate for clicks trying to catch up to Woj these days as he and Shams are the go-to guys. Last edited by DevinHarriswillstart; 12-24-2018 at 09:46 PM. They didn’t deny they would trade him. They said they weren’t shopping him. TMac, Dan Woike, and Nate Duncan say that they have heard otherwise. The fact remains that trading DSJ makes sense. None of us should be surprised. Is it too early to jump ship on DSJ + Doncic combo? Maybe. But I personally doubt the fit. I would be interested to see what the market would yield. Last edited by thewizard; 12-24-2018 at 07:56 PM. There are only two untradeable players on this team and we all know who they are. I'm sure the Mavs are gauging market for all of the other 15 players including Dennis. I wouldn't be too concerned about that comment though because I'm sure the price will be overly high for him. Unless the Knicks would consider parting with Portzingis or some other team has a young budding star they just want to dump, I don't see the Mavs moving Dennis. I do think the Mavs have their eye on Beal though and Dennis would have to be involved in that deal in some way. Not totally unsubstantiated. Several NBA reporters said they heard the same thing. The LA Times NBA writer even mentioned it in a story last week. I'm not saying trading DSJ would be a monumental mistake, but not trying to unload Powell and Wes first is. Maybe nobody wants Wes or Powell for the same reasons you don't... DSJ, on the other hand, seems to be drawing interest. Oh come on. Despite having a losing record, every one of our players is worth 10X as much to other teams as they are to us. Bad player with a bad contract like Matthews or Powell? It's a moral failing on our FO for not trading them for someone twice as good. What I want to know is what are other teams offering for Dennis? What kind of return could we be looking at? What's his value right now? If nothing else, his high-flying game puts butts in seats. I could see all kinds of bad teams placing significant value on his ability to sell tickets alone. Last edited by Underdog; 12-25-2018 at 11:59 AM. Other teams showing interest in him is a good thing for us and Dennis if there is anything to this. If we do trade him it would be at a premium and Mavs shouldn't consider anything less. I can't help but think the Mavs would have some interest in Beal though if the Wizards come calling but that would most likely require a 3rd team. Can't think of any other realistic potential options. Last edited by rimrocker; 12-25-2018 at 12:45 PM. Count me as all for a DSJ/Beal trade. Not sure how we can make it happen. I just dont see any trade that helps us and that makes sense for the other teams. Our assets arent good enough to get a player who is worthy to give up 15+ mio capspace in 2019 and 2020. Best example a player like Beal (or slightly worse). DSJ+Wes isnt good enough for that. Not having the 2019 FRP doesnt help either. And DSJ is right now in a sell low window and you never sell in such a window. Players we could potentially get for our assets are also not good enough to give up the opportunities in the next two FA offseason. DSJ: Dont know how high you could sell on his potential. Best case is like a switch with the Suns for Jackson. I prefer to see if DSJ figures it out over the next 50 games to play better offball. Barnes: Heavy 25m PO, pretty much a finished product. Dont think you can get a better player in a trade. Last edited by sefant77; 12-26-2018 at 01:04 PM. I don't buy that Luka and DSJ won't work together. However, I don't think that DSJ makes near the same impact by initiating offense as Luka. Many people expect too much of a 19 and 20 year old duo. DSJ is on par for most 2nd year players while Luka is wayyy ahead. MY main question was, can Luka run the offense without turning the ball over a lot, and can he be slowed down significantly by quicker guards defending him. He has not only answered my question but has done it in shocking fashion. Many seasoned vets aren't on his level of play making and seeing the floor and what to do to take advantage, much less a 2nd year guy who hasn't had that kind of talent(Luka) on the floor with him...ever. IF Beal or Derozan for example, or any other playmaker/scorer were attainable I would pull the trigger on it because everyone else on the team is mature enough to compete as contenders. I see some of you are talking about this but didn’t see a tweet or anything. The Mavs are denying the rumor but where there’s smoke there’s usually fire. It will be interesting to see what his trade value is. He’s still super young but he’s also not the same level of player as Luka. He doesn’t really do any one thing great (other than jump). They can pretty much rule out getting back any established Star like a AD or Butler for DSJ. Also they will get nowhere near value for him by trading for a pick because they would likely only be getting back a low 1st at best. Their best bet would be to try and obtain a player that is in a similar position as Dennis. A young former lotto pick that has either worn out his welcome on his current team or someone that just hasn’t lived up to expectations. I would approach the Pacers and see if there is any package they would be willing to take for Myles Turner. Not likely but it’s worth a shot. More than likely they would be looking at guys like Josh Jackson, Jonathan Isaac, Ntilikina, or even Fultz. Oh and for what it’s worth I don’t see any way Deandre is coming back. Not because they don’t want him back because they definitely do. I think he ends up going back to LA only for the Lakers this time. He’s shown he’s still a dominant rebounder and he’s no longer a liability at the end of games because of his vastly improved free throw shooting. Yeah I dont see Myles Turner leaving. Pacers are cruising at 3rd in the EC and Myles Turner is leading the league in BPG. Nothing we have would be enough to pull him away. Avg 12/7/2.8 bpg. No reason Indy will start moving guys that are solid contributors. I think its 50/50 DJ leaves. If a top 5 team is calling, I dont expect him to stay. But his relationship with Luka is why I keep it at 50/50. Last edited by Melonhead; 12-28-2018 at 01:32 PM. Lebron likes Cousins, so my guess is Cousins signs with the Lakers, maybe on a huge 1 year contract. Thin market for center for sure, basically just Lakers and Mavs with significant cap space and a center need. Specially if Anthony Davis isnt traded by july 1st, i dont see the Lakers wasting future cap space for DJ if they may/probably need a max slot in 2020 for Davis. So maybe DJ is back with us on a more friendly deal because there wasnt much of a market for him. Last edited by sefant77; 12-28-2018 at 01:28 PM. Lebron is a huge Cousins fan, so my guess is Cousins signs with the Lakers, probably on a huge 1 year contract. Specially if Anthony Davis isnt traded by july 1st, i dont see the Lakers wasting future cap space for DJ if they may/probably need a max slot in 2020 for Davis. Last edited by sefant77; 12-28-2018 at 01:33 PM. I hope they dont move DSJ until at least next season to get a full season or so with Luka. Im not saying its going to work, but to bail on a 2nd year player after he was hailed in his rookie season doesnt send a good message in my opinion. I think he deserves the opportunity to prove himself. Honestly Id be hesitant to part with Wes mid season only because we really lack consistent 3 point shooters sans Barnes(i miss dougie). But hes very frustrating to watch at times. If theres a package that includes Powell...sign me up. Last edited by Melonhead; 12-28-2018 at 01:34 PM. I don’t know, I think Cousins ends up re-upping with Golden State. That’s unless they do end up shipping Klay/Draymond to the Pels for AD. If that happens then Cousins does go to LA and DJ could return to Dallas. Golden State can't afford to keep Cousins unless he plays for minimum again... Which he won't. No Links. Just a hunch. Goran Dragic will opt out this off season and sign multi year with the Mavs. Last edited by sefant77; 12-30-2018 at 06:27 PM. Gonna go ahead and bump this in light of Fish writing about it today. Last edited by Underdog; 12-31-2018 at 10:11 PM. Except that Smith just hit the game winner against the toughest defense in the league and played great defense on Paul George to ice it. I don't buy that Smith isn't part of "win now" at all. Pretty sure no player on the team wants to win as much as him. What I do concede is that Smith is the only one not named Luka on the team with any real trade value. See, the bigger issue is the rest of the team...not Smith. But I still don't know what trade is out there that markedly improves the team because you need to fill other holes. And Smith provides something for the team that nobody else on the roster really has. So it's really more of a roster dilemma than a Smith jr one. Unless an offer just blows us away I don’t see a reason to be in a rush to move Dennis. Even if he’s 2-3 years away from being reliable offensively, that puts Luka at 22-23 yrs old. They shouldn’t rush this thing. Sell vets for assets if you can. Fight for the playoffs, but not at the expense of the future. Maybe an opportunity to package DSJ with said assets for a superstar comes along in the next year or two. Cuban needs to just stay out of the way. Agree it's not a fire sale, but given that DSJ is simply not a good fit beside Luka, and he wants out (to where he can be the main ball handler)...what more reason were you looking to see? He and Luka play the same position, that's not going to change. Agree with everything stated here. This "win now" crap is not going to get us anywhere and we are minimum 3 years away. We need to develop the guys we have and build around a core. I personally really like what DSJ brings. He's able to create for both himself and others on offense while also taken on defensive challenges. PG was on fire the other night and DSJ managed to slow him down just enough for us to get a win. Read on Twitter that the Mavs have interest in Otto Porter? Replacing Messley. Where there is smoke or nothing to see here. All times are GMT -5. The time now is 02:08 AM.